Meredith Lieberman has been wanting to go to college for a long time, but without encouragement or support, she settles into the life of a wife and mother—until one day, 18 years into her marriage, her husband leaves her for a more “spiritual life” in Sedona. Determined to be independent and follow her dreams, the newly single mom decides to go back to school. But when she announces her decision to her family, Meredith’s mother tells her to “grow up,” and her teenage daughter figures she’s probably going through a midlife crisis and says, “Don’t they have hormones for that sort of thing?” Disappointed but desperate to pursue her education and make a better life for her family, Meredith enrolls at the local community college. 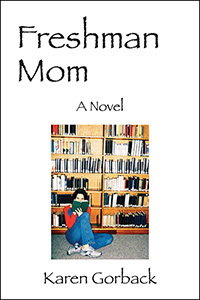 Freshman Mom is a powerful debut novel—contemporary, fast-paced, and fun—with themes illustrating the value of friendship, family, education, and moving on. The book tells the story of Meredith’s freshman year, filled with the angst of parenthood mingled with the challenges of college and the uncertainty of new relationships. Through joys and tears, ups and downs, Meredith brings us along for the ride of a lifetime as a Freshman Mom. Karen Gorback has a doctorate in education and thirty-five years’ experience as a teacher, counselor, and administrator. 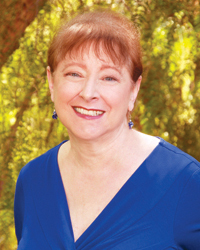 Her prize-winning short stories include: “The Curative Powers of Chocolate,” “Hot Wings, Inc.,” and “Dancing With Dreams.” She has also written several one-act plays selected for production at a Southern California theater festival, including The Prom Dress, Cheesecake and Chips, and A Delicate Dance.